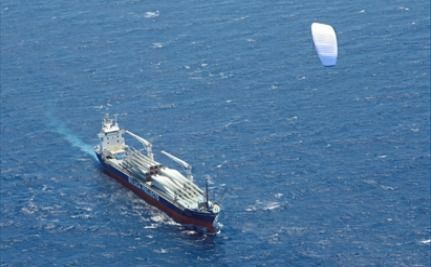 Humanists for Social and Environmental Action: Cargill using Wind Kites in shipping. Cargill, an international shipping company, recently partnered with Hamburg-based SkySails to use wind power to reduce greenhouse gas emissions in the industry. SkySails developed a patented technology that uses a giant kite which flies ahead of a vessel to augment the power of its engines. Next December Cargill will install a 320m2 kite on a handysize vessel of between 25,000 and 30,000 deadweight tonnes. The kite will generate enough propulsion to reduce consumption of bunker fuel by up to 35 percent in ideal sailing conditions. The kite will be connected to the ship by rope, and is computer-controlled by an automatic pod to maximize the wind benefit and minimize extra work for the crew. "The shipping industry currently supports 90 percent of the world's international physical trade. 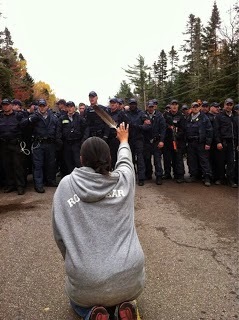 In a world of finite resources, environmental stewardship makes good business sense," said G.J. van den Akker, head of Cargill's ocean transportation business. "As one of the world's largest charterers of dry bulk freight, we take this commitment extremely seriously. In addition to lowering greenhouse gas emissions, the SkySails technology aims to significantly reduce fuel consumption and costs." According to a United Nations study, up to 100 million tonnes of carbon dioxide (CO2) could be saved every year by the broad application of the SkySails' technology on the world merchant fleet. This figure would equate to 11 percent of the CO2 emissions of Germany.